There has been a lot of craziness coming out of America in recent months, most of it pretty depressing. However, it is good to be able to report some crazy-good news in the form of the ever-increasing PowerBall Jackpot. 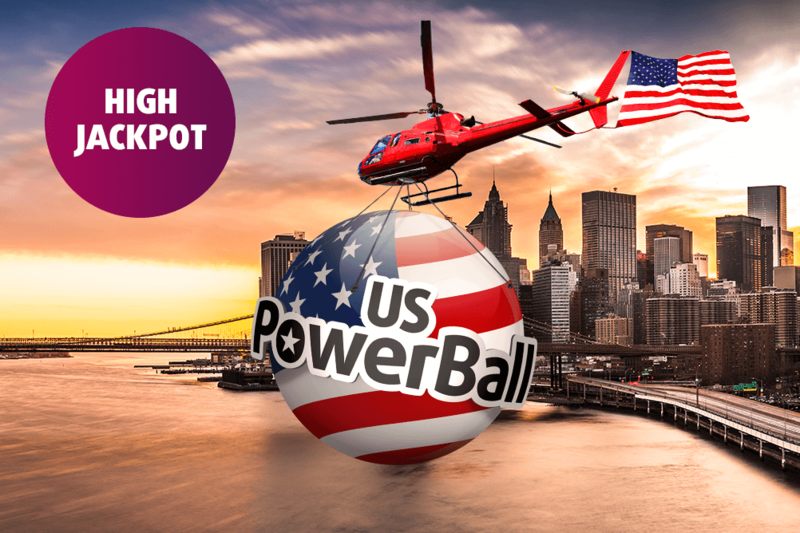 This American institution is just getting bigger and bigger, and the jackpot currently stands at an awesome £129 million. The US PowerBall lottery currently holds the record for the largest jackpot payout in the world. That record stands at an awesome $1.586 Billion, which was split between three winners in January of 2016. And just in case you need more convincing as to what a Big Deal the PowerBall is, it has also been responsible for 11 of the top 15 lottery jackpots of all time, with only local rival MegaMillions picking up the slack. Given the rate at which this current PowerBall jackpot has been increasing, who knows when it’s going to stop? Right now the jackpot on offer stands at a staggering £129 million and unless somebody wins it then the only way it’s going is up! With such enormous jackpots on offer, it hardly seems fair to keep all that lovely lolly Stateside. Those guys would probably just waste it on bazookas and weird-flavoured donuts anyway. 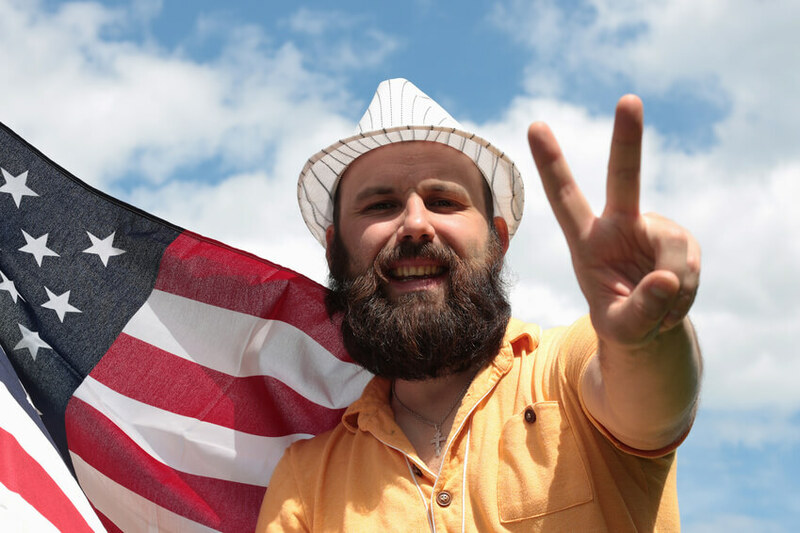 The good news is that because you are betting on the outcome of PowerBall rather than buying a ticket, a British resident can legally win the exact same amount that a US-based player could take home. 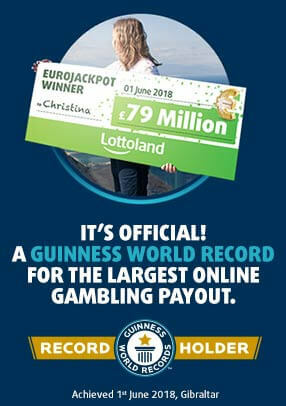 Your next step is to sign up with Lottoland from the UK and place your bets on the PowerBall section of the site. The current record for the biggest lottery jackpot every won in the UK stands at £161.7 million, which was won back in 2011. Six years on, isn’t it about time that that record was broken? Maybe this week is a good time to change your regular lottery routine, and Think Bigger. As the saying goes: "Shoot for the moon. Even if you miss, you'll land among the stars." That’s because there are 9 prize tiers on offer from the PowerBall lottery, meaning that even below the level of the jackpot there is still some major moolah on offer from the lower prize tiers. Remember that Lottoland is fully licensed by the UK Gambling Commission, and thanks to our innovative insurance plans we can pay out even the largest of jackpot sums. That includes bets placed on the mighty PowerBall jackpot of £129 million, so if you want to get out of your usual lottery routine, now might be the right time to try your chances with the Big Boy of the lottery world.